If you’re looking for a big-ticket experience that will delight the entire family, Cirque Du Soleil is the ultimate crowd pleaser. Like all their shows, Corteo gives audiences a spectacular fantasy, combining theatrical performance, jaw-dropping acrobatics, vaudeville music and stunning costumes. 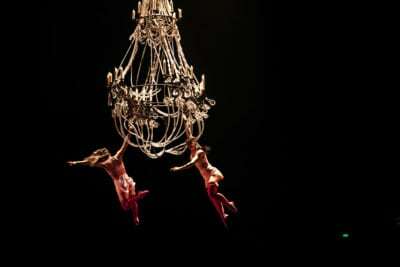 Corteo will surely push your imagination in delightful directions, awakening the senses with pure magic. Head to Toronto’s Distillery District for an authentic Christmas Market, voted by Fodor’s Travel as one of the top ten in the world. This is partially because the buildings of this historic part of town lend a sort of classic Christmasy backdrop (as though you’ve entered a Charles Dickens novel), but there are also numerous huts with handcrafted gifts and tasty treats on offer. Beyond the fifty-four-foot Christmas tree, jump on a carousel, grab a hot chocolate from Balzac’s Coffee, or wind your way through the cobblestone lanes and discover brightly lit photo opps at every turn. Beyond the outdoor fun, the Distillery District also boasts several of the city’s top galleries, fashion boutiques and beloved restaurants. Free admission during the week (closed Mondays), ticketed on the weekend. More info here. We can’t think of a better place to experience this Christmas classic. Situated on the NW corner of Queen Street and University Avenue, the Campbell House Museum was built in 1820, so when you add the Ghost of Christmas Past, we’re sure you’ll feel things from another dimension. An immersive production, audiences are invited to step into the world of Victorian London and follow flinty miser Ebenezer Scrooge on his ghostly journey of redemption. Run time: approximately seventy-five minutes. Tickets are $20 for children and students, $25 for seniors and arts workers, and $30 for adults. Get them at ChristmasCarolTO.com. Allan Gardens is a completely free Toronto space, where one can get warm and take in sights and smells of a year-round botanical garden in a gorgeous glass conservatory that was opened in 1860. For the season, they’ll be returning with their Christmas Flower Show, which consists of over thirty types of poinsettias, as well as “amazing seasonal topiary masterpieces made entirely of plant material.” We went a few years back and can recall a train running through the gardens, which is always a delight for young ones. For the opening on December 2, there will be a lighting ceremony, carollers, and horse-drawn wagon rides, all in the heart of downtown Toronto! More info here. A trip on the Queen Street streetcar to the Hudson Bay holiday windows is another totally free and memorable way to step deeper into the season. Opened earlier this month with an outdoor concert with pop songstress Carly Rae Jepson, the windows offer a whimsical elegance to marvel at. Following, enter Canada’s iconic department store (between 9:30 a.m. and 9:30 p.m.) and check out the newly opened New York City treasure: FAO Schwartz. Dance on the piano like you’re Tom Hanks in the 1988 blockbuster BIG, or get a spritz of perfume or makeup touch-up in The Bay’s beauty section, before heading to your next holiday party. Across the street (or bridge) from The Bay, enter into downtown Toronto’s biggest mall to get a glimpse of the tallest Christmas tree to date. Sponsored by Starbucks, you may be tempted to warm up with a Peppermint Hot Chocolate while you take in the glow of the majestic decor. Enter the nexus of cool when Nordic luminaries in the arts, music and cuisine converge at Harbourfront Centre (235 Queens Quay W). At this FREE event, you can listen to talks about the Nordic food revolution; brunch on a menu inspired by acclaimed chef Claus Meyer’s manifesto and created by Toronto chef Anthony Rose (Rose and Sons); skate to performances by Hildur, WhoMadeWho, DJ Annie, and Nive and the Deer Children on the Natrel rink; marvel at installations by Danish artist Anders Herwald Ruhwald; shop Nordic-inspired gifts at the Holiday Pop-Up Market; and try your hand at pattern-making with a Marimekko workshop. More info here. Head to the newly reopened Ontario Place for outdoor family fun. From skating on the Frozen Pond to a 170-foot tube park, amusement rides, enchanting light displays, and tasty snacks and refreshments, this is a great way to embrace the natural wonder of winter that will delight all ages. Ticket info here. 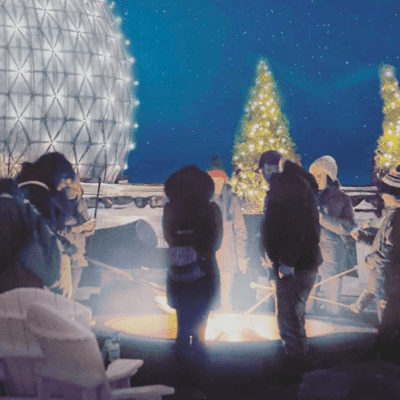 Another wonderful way to enjoy nature this season is to head to Toronto’s Evergreen Brickworks for the annual Winter Village. 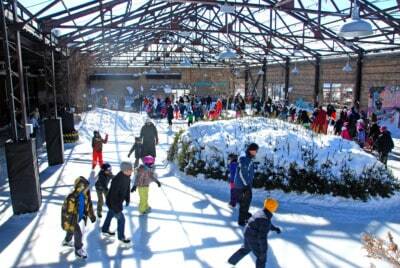 Choose to head out on a quiet hike in the woods, lace up your skates and get glidin’ on the newly reopened (and free!) skating rink (skate rentals available), pick out a sustainably grown Christmas tree from the Evergreen Garden Market, enjoy local fare from a variety of food trucks, browse the holiday market, and more! Go back in time to experience a Victorian Christmas. Every weekend, until December 23, Pioneer Village will offer programming for families that includes Christmas crafts for kids, sing-a-long Christmas carols, a bunny meet-n’-greet, roasted chestnuts, old-timey tree trimmings, flaming puddings, and more! Santa will also be there, in a wooden cottage, and you can book a story-time with him. On select Saturday evenings, you can also do Christmas by Lamplight! 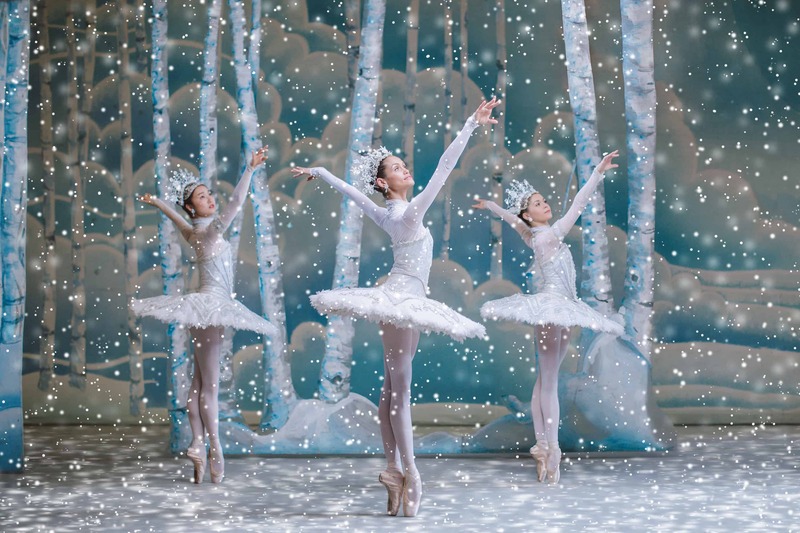 A beloved childhood favourite, and a timeless Toronto tradition, The National Ballet’s performance of The Nutcracker returns to The Four Seasons. James Kudelka’s ravishing and gloriously reimagined version of the evergreen Christmas spectacular was created for The National Ballet of Canada in 1995, and it remains an unparalleled holiday entertainment for both children and adults. Replete with Kudelka’s signature dynamic and exuberant choreography, and gliding with wonderful ease—from whimsical and often boisterous comedy to breathtaking spectacle and touching emotion—the ballet is a feast for both the senses and the imagination. Beyond some of Toronto’s most talented young dancers, this production also includes a live children’s choir. Tickets have been on sale since September, so don’t delay! 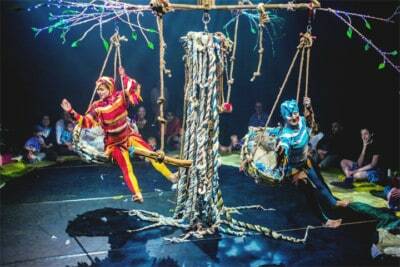 The fifth annual Soulpepper Family Festival returns, and this year’s programming offers a ton to explore, from seasonal classics like A Christmas Carol and Peter Pan to Holiday Stories, Tweet Tweet (an aerial arts and circus performance for young children). Don’t miss the highly successful First Story Bus, which will depart from The Young Centre of Performing Arts and take audiences on a three-hour tour around of Indigenous landscapes that activate stories of accomplishment, struggle, and resilience, and MORE! You’ve got plenty of time to schedule this Toronto must-do! Between 10am-10pm, rent some skates, get on the ice, and enjoy criss-crossing in circles with Torontonians and visitors from all over. Block off a couple hours, and you can hit this, and the Hudson Bay windows, plus Eaton Centre tree in one shot. An easy, and affordable, way for the entire family to add a little out-of-the-ordinary magic to the season.